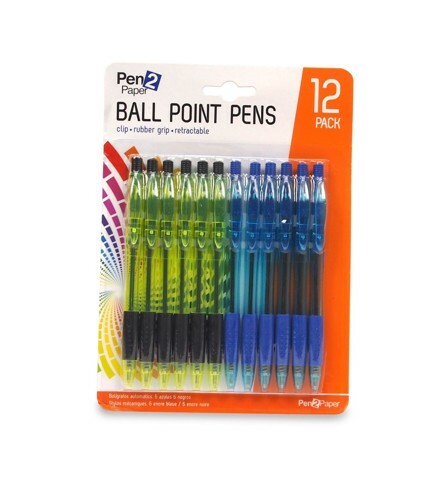 Pens Ball Point W/Rub Grip 12Pk. 140 x 9mm. Blue Pen W/ Blue Soft Grip And Blue Ink x 6pc | Yellow Pen W/Black Soft Grip And Black Ink x 6pc. Plastic Barrel. 7G Packaging: Blister Card.